Find Peggy on Facebook, YouTube, and iTunes! 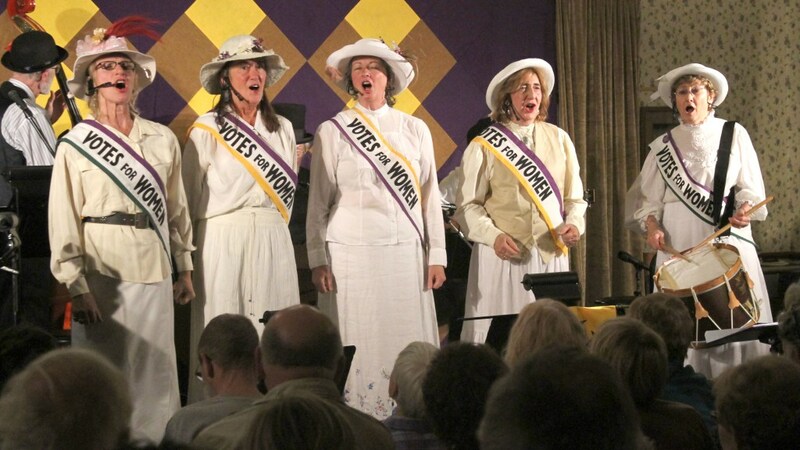 With enlightening narrative, and songs that women sang during the suffrage movement between 1848 and 1920, this dynamic 50 minute performance tells the story of the New York women who worked to reform the inequality of women in the new America. From Lucinda Mott, Elizabeth Cady Stanton and Susan B Anthony to Harriet Stanton Blatch, Carrie Chapman Catt, Inez Milholland and Alice Paul the story of the most innovative and successful non-violent civil rights reform was waged over 72 years. Check the Old Songs website for more info! An Old Songs Production. © 2017 Old Songs, Inc.
© Copyright Quercus Music. All rights reserved.